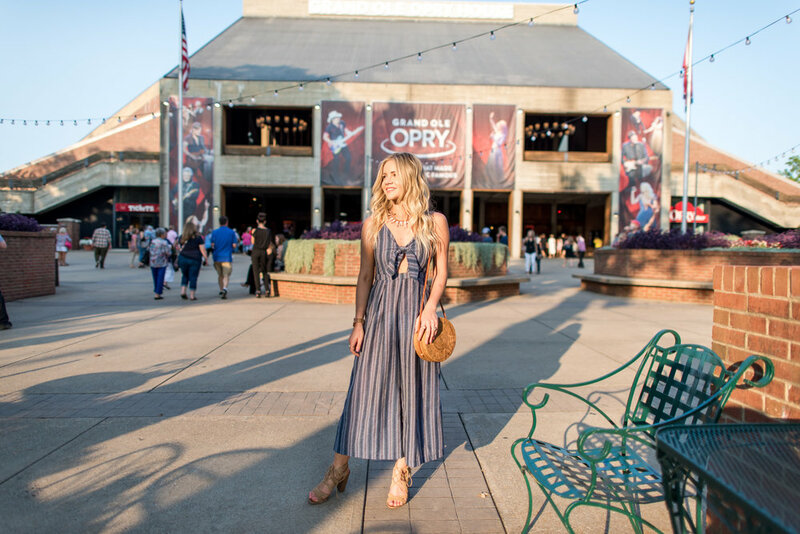 This post was sponsored by the Grand Ole Opry. As always, all opinions remain my own. What began as a humble radio broadcast is now a world-famous live-entertainment phenomenon with a home as revered as the show itself. Everyone knows that the Grand Ole Opry is the show that made country music famous. However, growing up in Nashville makes it easy to overlook all the history that the city holds. Last month, Cameron and I had the opportunity to experience a show and VIP Tour of the Opry. I have been to the Grand Ole Opry countless times. In fact, I grew up going to work with my mom for various artists over the years... hanging out backstage and watching all of the great performers walk out as those red curtains rise. It wasn't until recently that I really took the time to appreciate the building, the music and all that it represents. We finally got the chance to eat at Fin & Pearl in the Gulch and were so impressed. 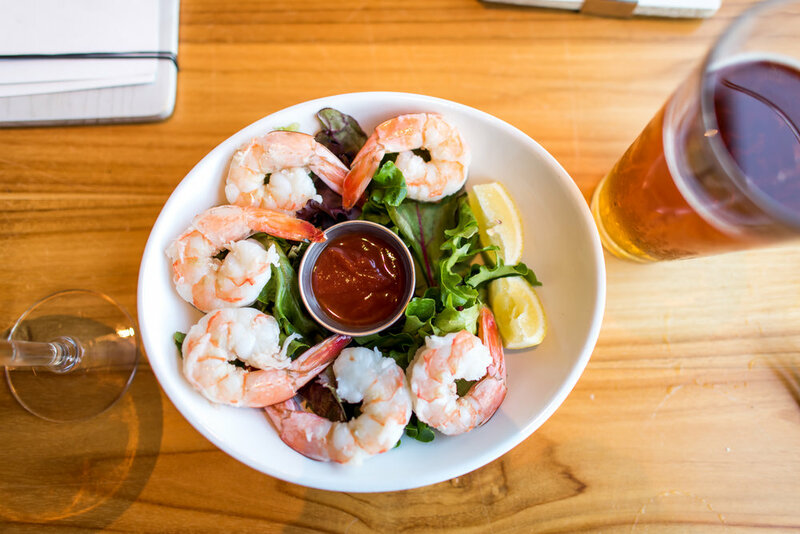 I'm pretty picky about seafood and they have (without a doubt) some of the freshest and most delicious seafood dishes in Nashville. Its convenient location makes it a perfect spot for a date night. The ambiance of the restaurant captures both modern and classic styles. The nautical decorations, vintage photos and beach inspired cocktails all transport you to a pleasantly unexpected place in the landlocked city of Nashville. Of ALL the yummy things we ate, the fresh watermelon salad, jumbo shrimp, and seared scallops took the cake. In addition to sourcing high quality seafood, Fin & Pearl sources ingredients from local Nashville farms whenever possible. The service was top-knotch and we will definitely be back again soon. We arrived at the Grand Ole Opry, grabbed a couple glasses of Arrington wine and took our seats. It was in that moment I realized I had never actually sat in the audience of a Grand Ole Opry show. (What?!?) Every time I went with my mom we were bustling around backstage or watching from the church pews on the side of the stage. Being in the crowd was a completely different experience. I really took it all in and pictured the likes of great performers like Roy Acuff, Minnie Pearl and Ernest Tubb gracing that very stage. At the start of our VIP tour, we were escorted from our seats to the the artist entrance. I could've spent hours admiring all the timeless photos and historic memorabilia backstage. One of my favorite things about the Opry is the family-like atmosphere that has been established over all these years. As we walked around backstage, this became even more evident. Oh, if those walls could talk! All of the dressing rooms are strategically themed. My favorite was dressing room number nine, aka the "It Takes Two" room pictured below. It pays homage to country music's iconic duos. Photographs of legendary pairs such as Loretta Lynn and Conway Twitty and Dolly Parton and Porter Wagoner adorn the walls. Cam's favorite part of the tour was the Grand Ole Opry Post Office pictured below. A tradition carried over from the days at the Ryman Auditorium, each Grand Ole Opry member is assigned a post office box, and fans can easily send letters or packages to their favorite member of the Opry. If you ever get the chance, I highly recommend taking the Opry VIP Tour. It takes you behind the big red curtain and gives you an exclusive look into what happens behind the scenes of the historic show. 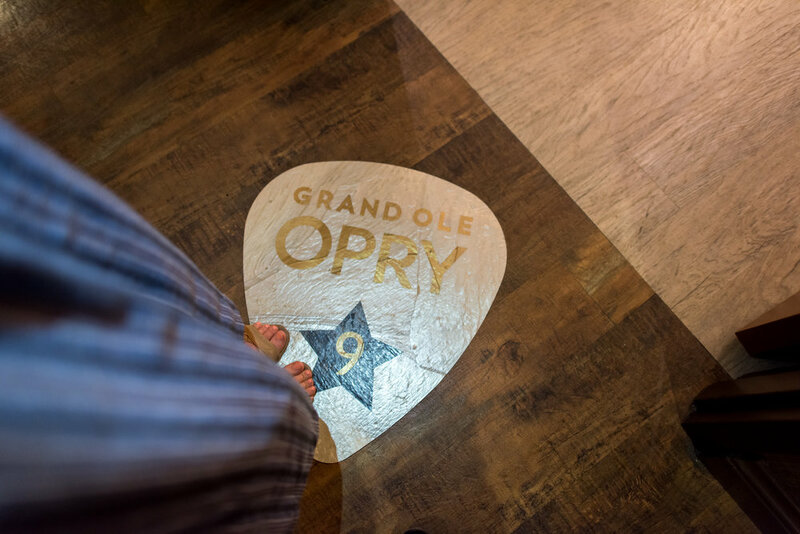 You just might run into some of your country music favorites - in our 20 minute tour, we ran into Darius Rucker, Vince Gill and several other stars. Our tour guide told us stories about country music greats, past and present, the Opry's biggest moments in history and much more. The Grand Ole Opry hosts shows every Tuesday, Friday and Saturday night at 7pm. Each show welcomes a variety of performers... Cameron and I got to experience a Diamond Rio, Darius Rucker, Martina Mcbride and Dierks Bentley concert all in one night! You can check out the calendar of upcoming performances here.